A great opportunity to finish on a high. 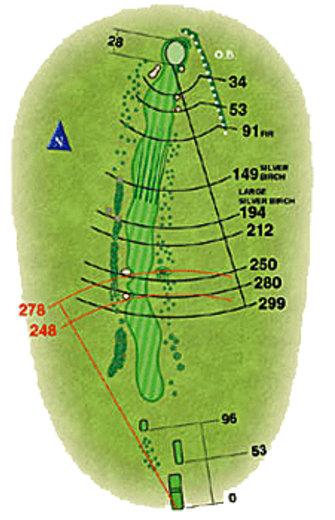 This average length par 5 could be reached in two but it needs both power and accuracy from the tee. Four well placed bunkers are ready to catch any one attacking the green in two and will leave an intimidating bunker shot towards the out of bounds. Beware being too aggressive as out of bounds lies just beyond the back of the green.